"Betty Alden House, Little Compton, R.I." by Eastern Illustrating Co., Belfast, M.E. 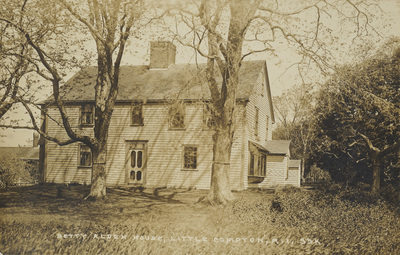 Betty Alden House, Little Compton, R.I.
Eastern Illustrating Co., Belfast, M.E. Eastern Illustrating Co., Belfast, M.E., "Betty Alden House, Little Compton, R.I." (1915). Rhode Island Postcards. 257.